There is still time to hit the slopes this spring in Colorado. TV8's Mark Sassi gives us look at the conditions of the slopes at Beaver Creek on Friday, April 12, 2019. The powder looks beautiful! 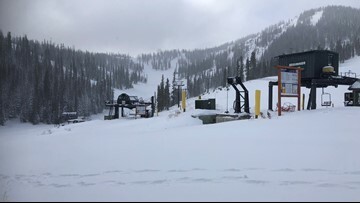 We check in on the condition of the slopes at Vail on Friday, March 29, 2019 with TV8's Ashley Prill. TV8's Ashley Prill is at Vail which is glistening under pristine Colorado blue skies on Friday, March 15, 2019. Vail has received over 300 inches of snow this season. Epic snowfall means an extended season for Monarch Mountain. A-Basin and U.S. 6 near Loveland Pass have reopened to allow access to the ski area. 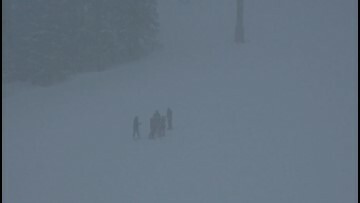 A-Basin was closed Wednesday afternoon and reopened Saturday morning. The avalanche watch is especially bad in the Aspen area. 9NEWS anchors Kristen Aguirre and Ryan Haarer speak to an expert at Aspen Snowmass to find out how officials keep people safe in the mountains. The Burton U.S. Open Snowboarding Championships kick off Monday in Vail and preparations are underway! TV8's Mark Sassi shows us the conditions on Friday, February 22, 2019. Beaver Creek Resort has seen 164 inches of snow year-to-date. TV8's Mark Sassi shows us the conditions of the powder on Friday, Feb. 1, 2019. It'll be a busy January weekend in Beaver Creek because of good snowpack and because of a big culinary event. TV8's Mark Sassi shows us the stellar ski and snow conditions on Friday, Jan. 25, 2019. TV8's Mark Sassi gives us a taste of the fantastic mountain conditions at Keystone on Wednesday, January 23, 2019. TV8's Mark Sassi shows the conditions at Vail on Friday, January 18, 2019 and previews the 10th Mountain Legacy Parade in Vail. The 9NEWS morning team takes a live look at the snow conditions at Keystone Ski Resort and gets some information about the resort's night skiing program. We're headed out to the mountains in Vail for a look at the fresh powder falling there today with TV8's Mark Sassi on Friday, Jan. 11, 2019.